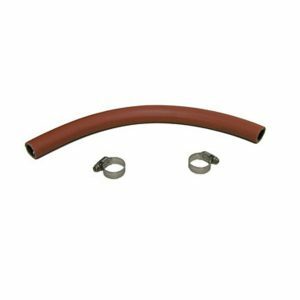 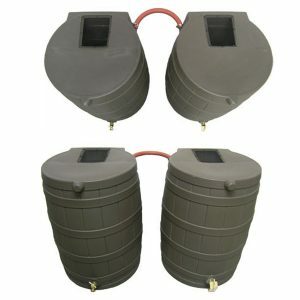 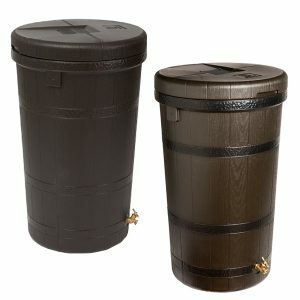 SKU: 65-L50 Category: Rain Barrels Tags: Rain Barrels, Rain Savers Brands: Good Ideas. 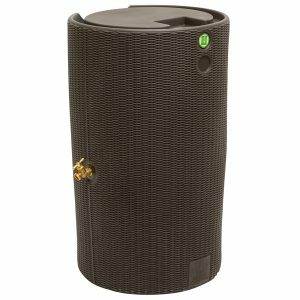 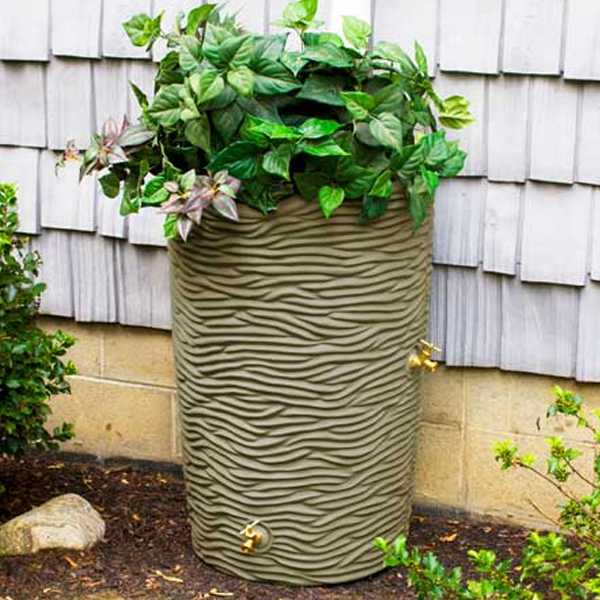 The Impressions Palm 50 Gallon Rain Barrel rainwater-collection system will help protect your lawn and garden during periods of drought, and it will also help you save money! 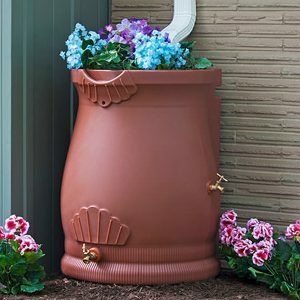 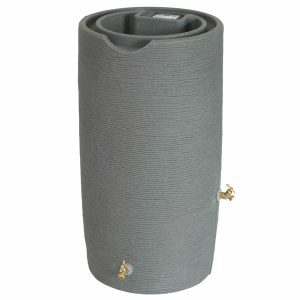 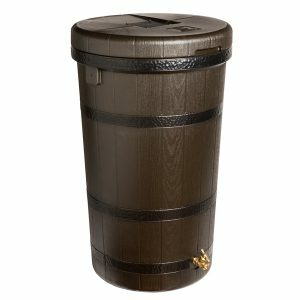 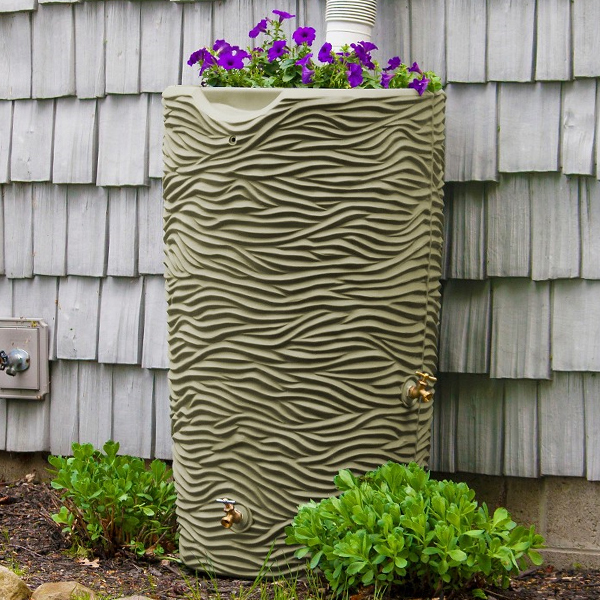 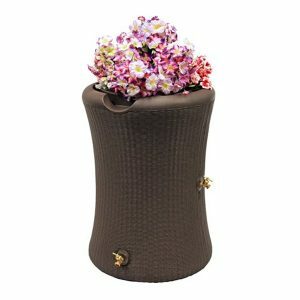 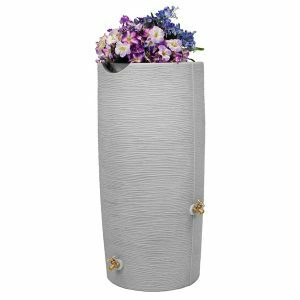 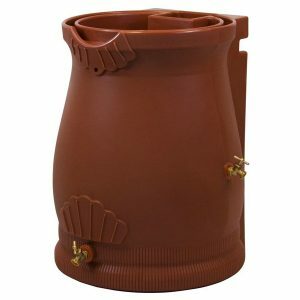 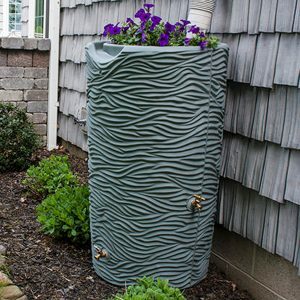 This 50 gallon rain barrel feature a rough texture of a palm tree trunk with a deep welled top so you can plant an array of floral arrangements or even a small herb or vegetable garden, and an integrated overflow channel automatically diverts all overflow water to the front of the barrel to keeps your foundation from flooding. 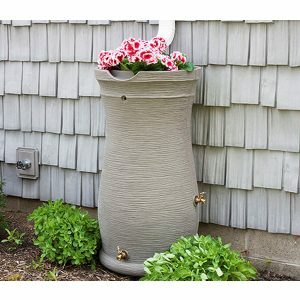 The large opening which can be used for 2×3 or 3×4 downspouts is covered with a soft, fine mesh, plastic screen. 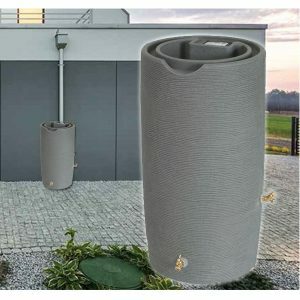 This screen keeps out heavy debris and insects for your piece of mind.